Friends, Family, everyone! we are having a spring cleaning sale. 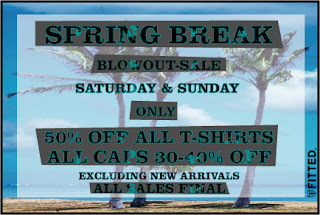 This weekend only! Hope to see you all. 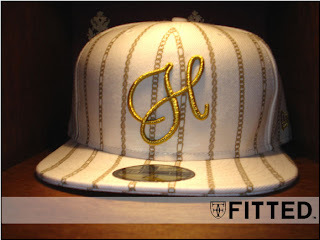 would be a good idea to pick on of these up to keep your Fitteds fresh. It can hold 6, but you could actually squeeze 7 or 8. 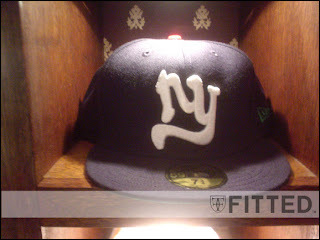 We got a small re-stock of Huf Chain Series New Eras. If you missed it the first time now’s your chance. Sizes are limited so hit us quick. Peace to Jack Curtin (DGK,LRG). He Swung through the islands this week and got to hug my Trophy (shouts to Wells)! DAS A WINNER!!!! 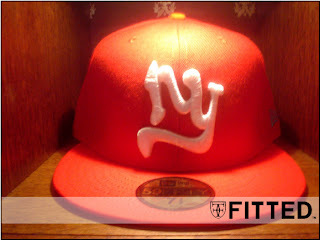 We will be dropping our Spring Fitted’s in April. 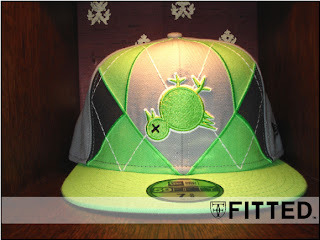 Here is a better picture of the hat with the help of Kekoa Cazimero & Zak Noyle. 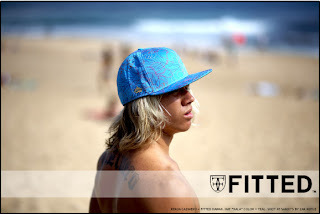 In each individual hat there is a special hidden message printed on the sweatband in Hawaiian. We will also be releasing our spring t-shirt’s, as well as a few special projects that we are doing with other well established brands that you will not want to miss. Please check back for release dates and more info. 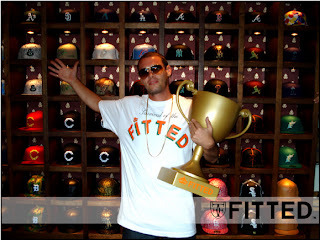 Rapper Emirc aka Tassho Pearce & his lifestyle brand “Flip the Bird” is synonymous with the 50th State. Starting his career in the underground / backpack Hip-Hop scene back in the mid to late 90′s as part of the Hawaii based crew, The Humanakas & Invisible Inc., he firmly established a cult like following with local b-boys & b-girls. Back in those days though, he was better known as Akira 8, where you could hear him dropping knowledge & kicking ill rhymes on KTUH (90.3) & Sway & King Tech’s World Reknowned “The wake up Show”. Fast forward to 2004, where times have changed, along with his new name, Emirc (Crime spelled backwards). He dropped the State Capitol anthem, Honolulu (produced by Syze 1). By this time, he had already created strong relationships with DJ Q-Bert & DJ Babu of The World Famous Beat Junkies. 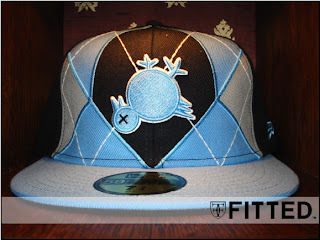 Also around the same time, he started up his own clothing brand, Flip the Bird originally to promote his records, but has since blown up to a full fledged clothing line, from t-shirts, to a special collab shoe with Run Athletics, & a New Era x Kickshawaii x FTB, which lands into our lap of our specialties. They’ve just arrived literally about an hour ago, & come in two colorways; blue / grey argyle & green / grey argyle, with the Kicks/HI logo on the back. Call the shop or head down & throw some greens on it!